← New Quail Coop & Eggs! I went to Christenson’s Nursery today for a class on growing espalier trees. It was completely fascinating, and exactly what I needed. I feel quite confident; all I need is trees! 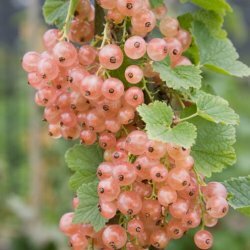 Unfortunately, no one local sells the heirloom trees I want, and the reputable places online have all sold out for the year. So next year, for sure, I am getting my apple trees. I still have hopes that I’ll be able to find a pear tree for this year. But while I was there, I did pick up a couple of currents. One white (Primus) and one pink (Gloire Des Sablons). I also got a honeysuckle to plant around the beehive. 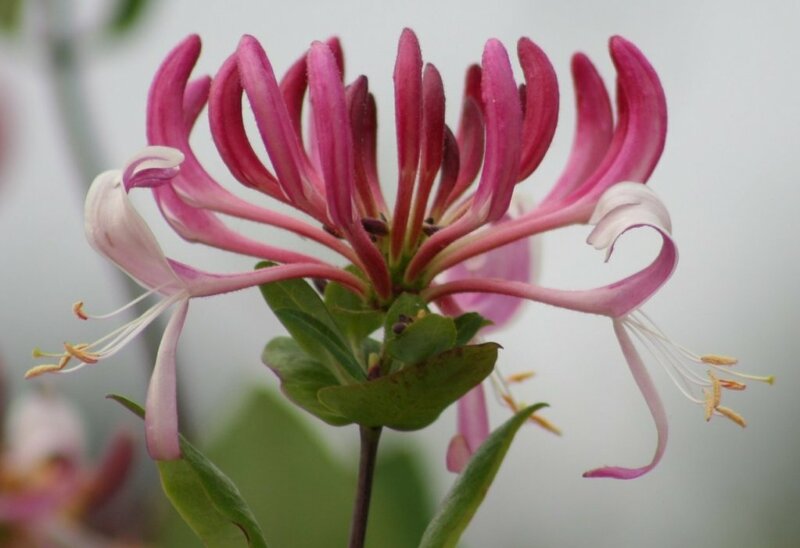 I used to be scared of planting honeysuckle, because you hear the horror stories of how invasive they are, but after some research I discovered there are nice, well behaved varieties. This one is called “Peaches and Cream” (lonicera periclymenom). 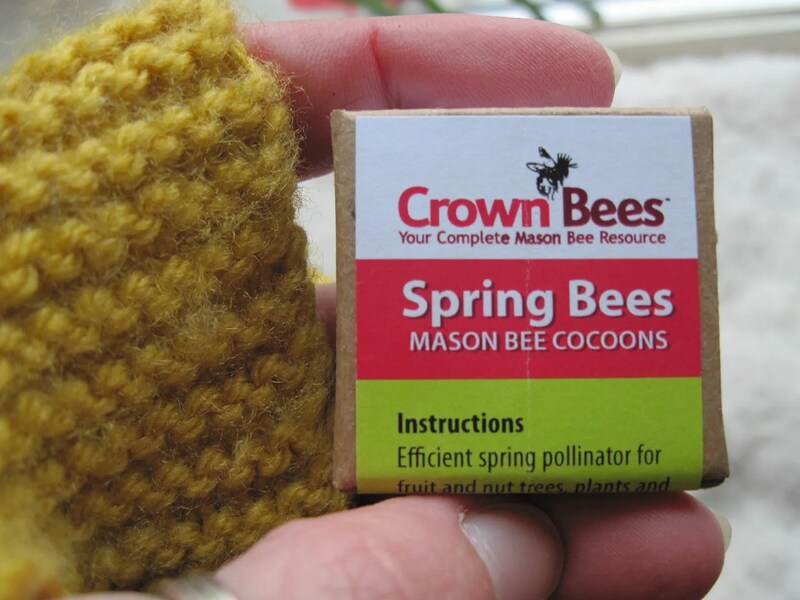 I also picked up my first mason bees. They came in a teeny little package, and are still in cocoons. Right now they will stay in my fridge, but when it warms up a little, I’ll put them outside. 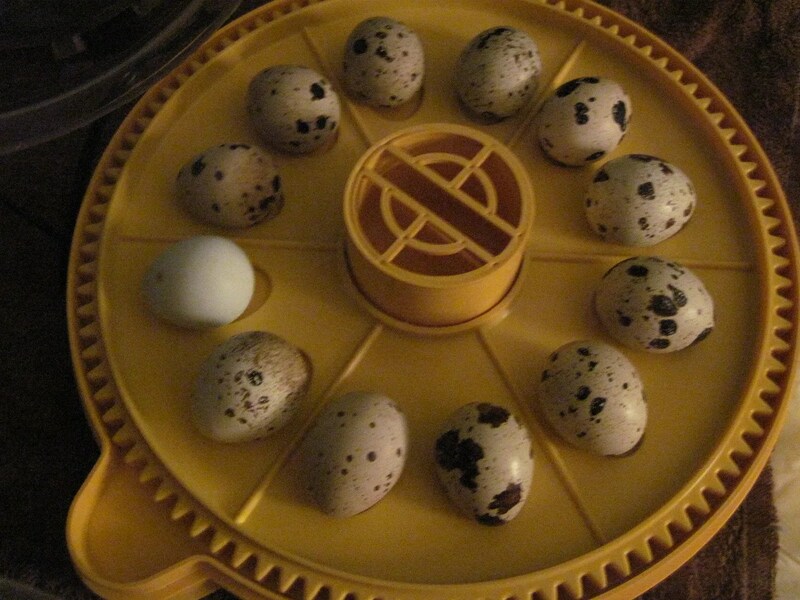 And lastly, I did my quail egg inspection last night, and discovered all the eggs were in great shape! I only threw one of the twenty out because it appeared to have a weaker shell than the others. No detached air cells that I could see at all! This is a very good thing; hopefully it means their shipping wasn’t traumatic, and they will hatch well. 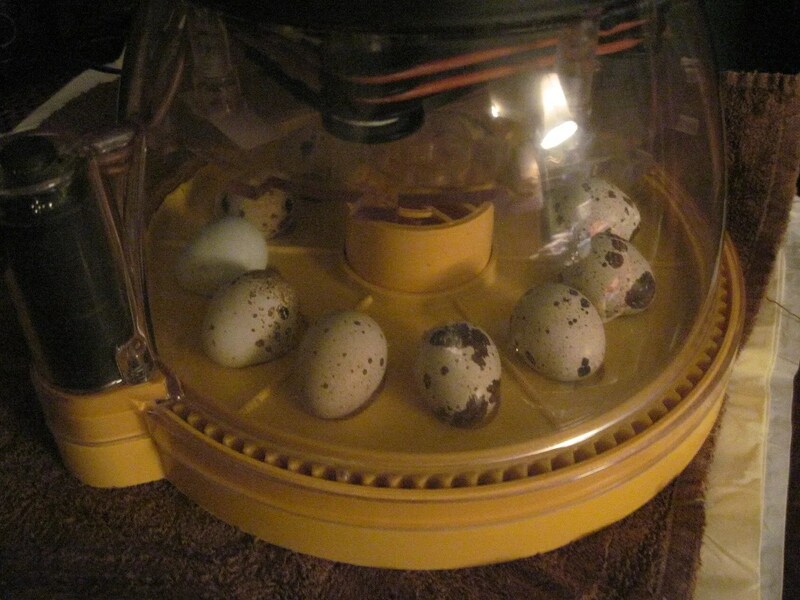 I put twelve in the incubator. This Brinsea Mini Advance incubator is the bomb. It took me less than a minute to set the temp, turn frequency, etc, and since then it’s been right on the mark. No fuss or worry at all. I have high hopes for these little eggs. In a few days, I’ll candle them again, and see if there’s any development that I can see. They are so tiny, and most are so spotted that it’s basically impossible to see inside…but maybe if the plain colored one is fertile, I’ll be able to watch that one grow! This entry was posted in Gardening, quail. Bookmark the permalink.